“An unforgettable novel about finding a lost piece of yourself in someone else” reads the starting line of the goodreads summary of this book. Putting it simply, it’s an over-rated book with an exaggerated summary. After all, Hosseni's “Kite Runner” was a true master piece and in comparison this book seems so amateurish. Yet again like “The Kite runner” & “A Thousand Splendid suns” this book also starts from Afghan but traverses to Greece, Paris and US. The book begins with a story of a brother and sister and ends with them. When the protagonists grow, the story branches out (Branches out is an understatement! I can't connect the characters now! )There are just too many characters for me in this book. In essence, it’s a rather detailed description of the course of a man's life. A life revolving around parents, children, brothers, sisters, cousins and caretakers. A life filled with choices to make, effects of the choices to bear, loss and gain. Or at least that what the writer has tried to convey. Unfortunately, Hosseini manages just to write a rather complex tale. A story with so many different emotions and simply too many characters which gets all interconnected in the end. One simply has to endure the pain of reading about random characters and their life till we get to know they aren't exactly random people. They are all connected to each other in a way. It’s a monotonous book, poorly written by a writer who once wrote brilliant emotional story. May be after reading his previous book, people just expect great stories from him. 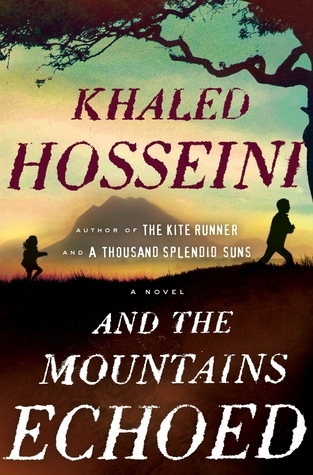 ABOUT THE AUTHOR: Khaled Hosseini was born in Kabul, Afghanistan, and moved to the United States in 1980. His first novel, The Kite Runner, was an international bestseller, published in thirty-eight countries. In 2006 he was named a goodwill envoy to UNHCR, the United Nations Refugee Agency. He lives in northern California. I won this book from the goodreads giveaway only to find it not shipped on time. Finally the writer contacted me and apologized for the delay. Writers hardly do that! It was nice of the writer to apologize. Then landed the beautiful hardcover autographed book. Its a rather small book in terms of number of pages. Nevertheless the smell of a freshly printed hard bound book is mesmerizing! Thanks to their wealth and their crook super spy grandfather, these two are forced to follow suit & turn into spies when Glen's brother is framed for an art theft. 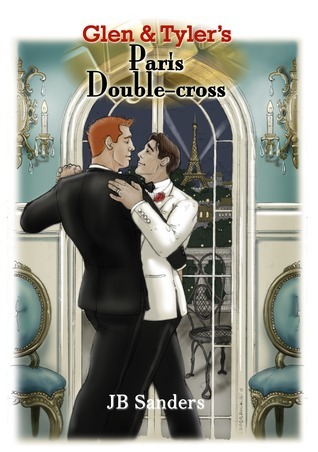 The story is about how Tyler & Glen clear things out and dethrone the "Ultra Spy" group called King's Club. When I first saw the cover and read the book back summary, I wondered if I had entered a wrong giveaway. No offense but Gay stories aren't exactly my cup of tea. But then I learnt my lesson: “Don’t judge a book by its cover". Just because I won the third book in the series, I started reading the first two books, which by the way were thoroughly entertaining! I don't really know if the writer intended the book to be hilarious or its just me finding parts of the book funny. Like in places where Glen kisses Tyler loudly or the "Romantic" Eiffel tower dinner. It didn't feel awkward at all. It sounded just comical to imagine men doing all that "Romantic stuff". The story had ample twists. Okay. That's an understatement. Ample "Googlies" would be rather apt. But at times the twists in the plot made me think "Oh come on! One can't be this smart!”. But the twists thankfully weren't predictable at all. Thus making the book enjoyable. P.S. I know. It’s a real short review. But I can't write more without giving away the plot. ABOUT THE AUTHOR : The author lives with an imaginary cat, and works in computer support (you know, the day job) in Upstate New York. He divides his time between writing humorous suspense novels, reading science fiction and urban fantasy, absorbing too much British TV (or as his roommate would say "those crappy BBC mysteries"), pondering why he didn't write a scifi or fantasy novel, and his various hobbies. No, reading isn't a hobby. It's more like a vocation. The author also wonders how people get away with talking about themselves in the third person this way. It's awkward. HOW I GOT THIS BOOK: The writer was kind enough to ship me the book. First, I would like to thank the writer for shipping me this book. I had a good time reading it. In order to understand more about his peculiar ability, Zane studies Neuroscience and joins Penthses Corporation to escape from facing the grind of doing a PhD. A Pharma company led by Dr.Peter Hulson Sr, who takes a liking for Zane. Turns out he is diagnosed with Cancer. So he assigns Zane to be his ears and eyes in the company to pick his predecessor and to "bring a closure" before he dies. There happens the major twist in the story when Zane decided to dig deep. The story isn't too fast paced or a dead rubber. It contains adequate unpredictable twists that the writer has carefully thrown in when the plot line gets too dry. The central theme of this book according to me is "ODDITY". Weaving the concept of oddity with the world of drugs and medicine was a really smart move by the writer. 1. The description of Y1, the organization and its purpose - It kind of confused me. 2. Y1 turned out to more like an online forum rather than doing some action unlike X0. Made me think a bit! Definitely not the "best" work by Sherrie nevertheless I'd surely recommend this book. 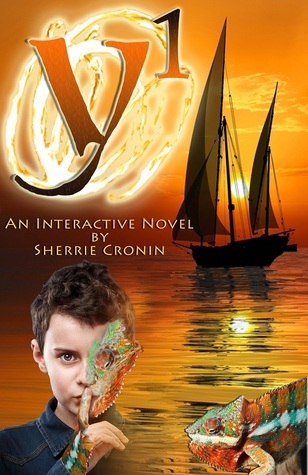 After all X0 was good & her 4th book in the serious which I beta read was simply amazing! VERDICT: Overall the book is good read. But one needs to "concentrate". You can't really turn page after page easily. You need that time for things to sink in and understand, especially when the writer describes about Y1. This is one post that I really didn't want to write. I had been contemplating writing a post about a women's life since last December (Yeah. Since Nirbaya happened!) but I have been really patient. I really didn't want to vent out all that anger. So why all the anger?! In light of recent "EVENTS" all around the country and if you really aren't aware why a young women is beyond angry you can as well stop watching television,quit reading news papers and lock yourself up at home. What makes being a "FEMALE" difficult? I thought all humans came from a womb and were all made out of same bones & flesh. But it really doesn't feel that way. Its like men dropped from sky and women were found in dustbins. That's virtually how we are treated. No offense. And there are this other class of people who name her "nakusa" (meaning Unwanted) or worse kill her or dump her in the nearest dustbin. Such people needn't be punished by the law, their deed of deserting a beautiful girl will taunt them for sure some day. As she grows, her life becomes no easy. She is "trained" to do the household work. She is always told there is no point in being educated and that she will always be that slave who slogs hard. And again I won't blame a mom for instilling that ideology in her daughter. After all she didn't have it any better and she knows her daughter won't either. She is just preparing her to face the worst. That is just a quarter of the big picture. I'd take cooking and cleaning any day over that jeering and abusing that a women faces. Venturing out all alone after 7 PM is a nightmare. Reason? Men in street corner calling her names and trying to 'feel' anything that looks remotely like a "female". Age or looks makes no difference. Then comes the biggest event of her life. The Marriage. The Wedding. That one event for which her parents had big dreams, worked hard and slogged like a donkey. But then what is the fruit of such hard work? Demands by the grooms family,absurd comments by relatives who always find faults and ruin a perfect moment of happiness, mounting wedding expenses, health issues due to constant tension and pressure. I thought hard work always paid in a good way. Realized its opposite in the case of a wedding. I really don't understand one thing. Logically you pay for something only when you buy it. That's what "trade" is all about right? But when a bride's family pays the groom in gold and cash and also bear the wedding expenses (Phew! Imagine! 500 odd people minimum eating an elaborate 7 course meal 3 times a day for 2 days minimum. All courtesy the poor dad of the bride! Makes me think its a good thing to be a guy) shouldn't the groom come along? Why does a girl have to leave behind every single thing she cared for about 23 to 24 years only to be treated like a slave who does all the household work, puts up with all sorts of comments from the Mother-In-Law, the Father-In-Law and worse, the Husband himself. Shouldn't the so called "life partner" be beside her and support her in each and everything?! If I go talk all this to my mom she'd probably take me to a psychiatrist and get my mental health checked up (I can almost hear her telling "Either you are barking mad or you probably had an head injury!"). Yet again you can't really blame her for that's how the "society" works. I can probably just go on and on ranting about all the injustice we face simply because we are "WOMEN". Its not easy being a women at all. Its not that men haven't changed over the ages and begun treating women better. Its just that, the progress is way too slow. By the time men realize what injustice they are inflicting upon a women in some way, I fear the entire species of "FEMALES" would be extinct. P.S. IF YOU ARE MAN AND YOU FEEL INSULTED BY THIS POST THEN YOU REALLY HAVE BEEN A REASON FOR SOME WOMEN TO BE ANGRY JUST LIKE I AM. P.P.S THERE ARE MEN WHO REALLY RESPECT WOMEN AND ARE MIRROR OF ALL ABOVE MENTIONED KIND, I REALLY SALUTE SUCH MEN! THEY ARE A RARE BREED!